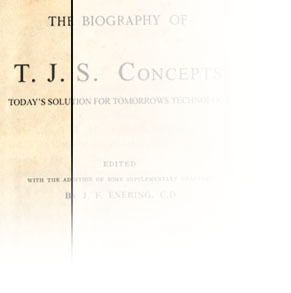 TJS Concepts, Inc. is a New York-based subchapter S corporation. The TJS Concepts name is new, but the core company (as a sole proprietor) has been around since 1993 and was originally based in northern New Jersey. TJS services the New York tri-state area and central Florida. TJS has made a commitment to provide a high level of service while keeping our overhead low. This translates into saving money for our customer. The secret to this is leveraging technology to address issues within our customer’s infrastructure. We always use the right tool for the job. TJS Concepts has experience in a variety of fields, from networking to software development to web design and hosting. This experience allows us to properly address issues that exist in any enterprise. Tim is the president/owner of TJS. He has 15 years of experience as an IT consultant and has a very diverse skill set. His primary role is technical due-diligence, problem solving, and customer support. AJ has been a consultant with TJS since 1996. He has worked in the corporate setting on network infrastructure and Internet hardware. His primary skills are UNIX (Solaris and Linux), Windows system administration, and network engineering. AJ also has a strong software development background. Max Bygrave, a 27 year IT veteran, joined TJS in 2004. He has a wealth of experience in the insurance, telecom, healthcare and publishing industries. Prior to joining TJS he was with Thomson Healthcare where he was responsible for the development of their handheld device applications. Prior to his work at Thomson Healthcare, Max helped pioneer Quest Diagnostic's middleware initiatives. Jamie has been working with TJS since 1997. Coming on board full-time in 2004, Jamie now leads the Creative Services team. He is responsible for the full range of graphics services from website design and development to print production. Jamie also has extensive experience with off-the-shelf software packages (MS Office, etc) for both the Mac and Windows platforms.